Explanation: Yes, but have you ever seen aurora from a cave? 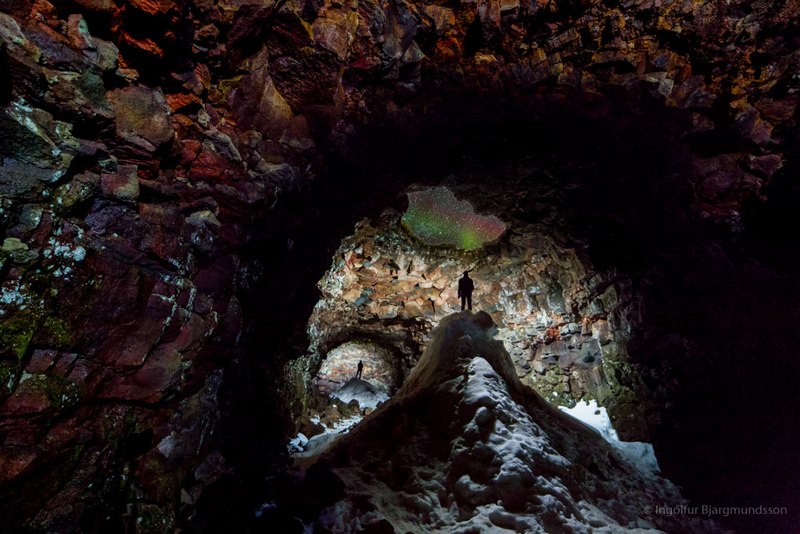 To capture this fascinating juxtaposition between below and above, astrophotographer Bjargmundsson spent much of a night alone in the kilometre-long Raufarhólshellir lava cave in Iceland during late March. There, he took separate images of three parts of the cave using a strobe for illumination. He also took a deep image of the sky to capture faint aurora, and digitally combined the four images later. 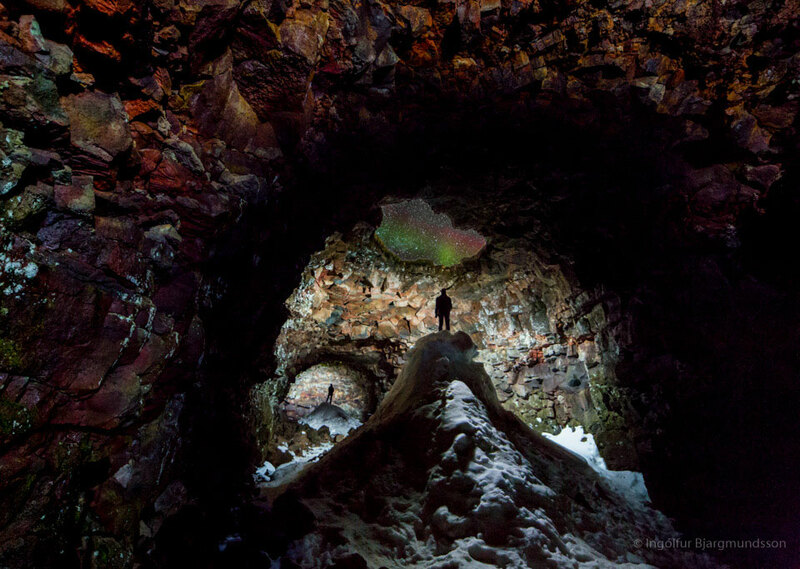 The 4600-year old lava tube has several skylights under which stone rubble and snow have accumulated. Oh -- the person standing on each mound -- it's the artist.